The animated sequel is something that’s hard to pull off owing to the law of diminishing returns. Each subsequent entry in a franchise seems to scramble for a new hook or new way of breathing life into its core set of characters. Not all of them can pull this off. Whilst Toy Story successfully spawned two sequels (although I think the original is by far the best), other franchises, such as Cars, have produced very lacklustre sequels that were thin on ideas. This year we’ve seen two of the “B-list” animated franchises: Ice Age and now Madagascar. 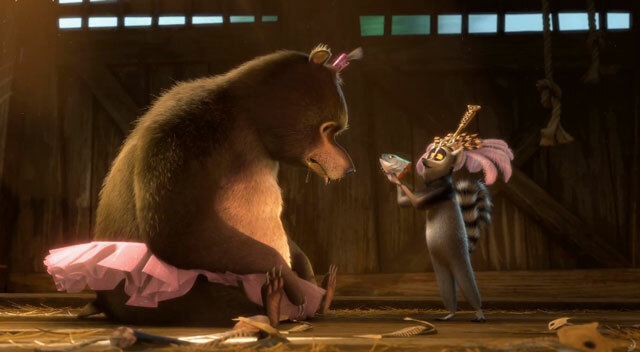 Whilst I really enjoyed Ice Age: Continental Drift (so did the box office), others lambasted it for being so thin on character and featuring another nonsensical plot. 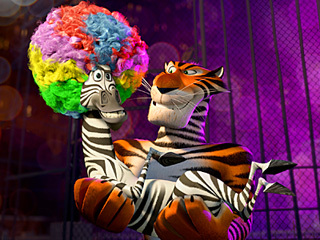 So how does Madagascar 3: Europe’s Most Wanted stack up in comparison? For those unfamiliar with the series so far, it follows a collection of animals on their wild adventures. 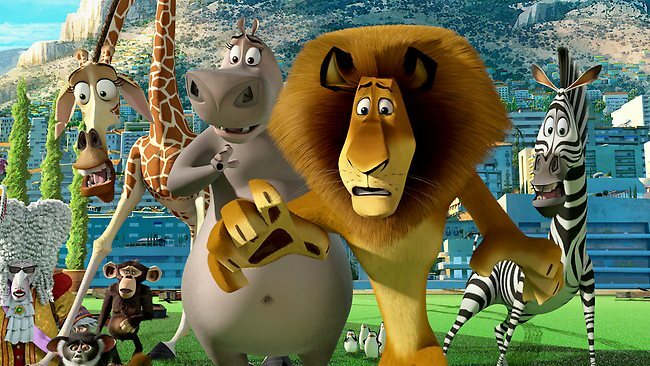 There’s Alex the lion (Ben Stiller), Marty the zebra (Chris Rock), Melman the giraffe (David Schwimmer) and Gloria the hippo (Jada Pinkett Smith), as well as a couple of other oddballs including a battalion of penguins and an eccentric lemur called King Julien (Sacha Baron Cohen). In the past we’ve seen them find a way to get out of a New York zoo and wind up in Madagascar. They then decided they didn’t like it there so tried to fly back home, but got dumped in mainland Africa. And now we see them once again trying to get back to New York, but by way of Europe by serendipitously joining the circus to evade the clutches of Captain Chantel DuBois (Frances McDormand). She’s a bit like Ace Ventura pet detective, but way less likeable, wears less amazing clothes and generally likes to kill her captured animals. OK, so not like Ace… this comparison doesn’t fit… like a glove. So there you have it, the typical eccentric plot of a threequel, but how does it fair? Surprisingly well, I must say. It seems like the writers have thrown caution to the wind and embraced every wild idea they could come up with on their late night benders. You want Chris Rock singing an incredibly annoying song about polka dots and afros? You got it! You want a giraffe and a hippo to fall in love and do the tightrope together? You got it! You want a lemur to fall in love with a grizzly bear that rides around on a children’s tricycle? You got it! Yes, the ideas are bombastic and absurd, but they work beautifully in the context of the film. Now, for me, the biggest thing that I dislike about a film starring Chris Rock is Chris Rock. I just don’t get his humour – it really grates on me. People tell me he’s the “new Eddie Murphy” – but I like Eddie Murphy; that guy has charisma and is genuinely funny. I can’t say the same for Rock, especially in his stand-up. 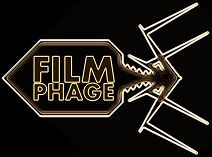 However, all of his utterances that caused me to squirm in my seat are already in the trailer; thus eliminating his annoyances from the film itself as I’d already seen them / heard his schtick. With that said, all of the cast are great – but as ever, this is just voice acting… it’s pretty hard to commend someone for “great acting abilities” if all they’re doing is reading lines. It is funny how this is Ben Stiller‘s best work in quite some time though. I really hope that guy catches a break soon so he can be acting in genuinely funny films again. I just hope the Adam Sandler effect hasn’t enveloped him yet. What makes the film so fun is the characterisation and therefore the humour. All of the animals’ personalities are conveyed so well on screen owing to the writing and choice of accents / actors. Although once again it’s probably Sacha Baron Cohen that steals the most laughs with his always-eccentric Julian and absurdly Robin Williams-esque accent. His character’s romance with Sonya the grizzly bear is both humourous and at times quite touching (once you get through the absurdity of a tutu-ed bear on a tricycle). Also, mention has to go to the visuals. I’ve never thought of the Madagascar series as being mind-blowingly beautiful but there are some spectacular scenes in there that just look fantastic. 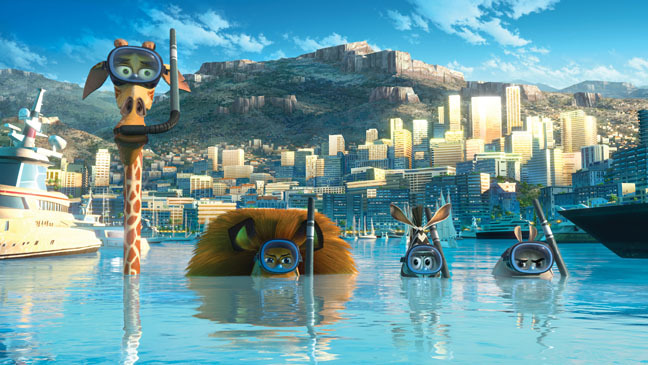 If I’m honest, I found the film as humourous as Ice Age: Continental Drift, but without the “slow” moments. Madagascar 3 doesn’t know where the brake pedal is and hurtles along at a rapid pace. This therefore eliminates the weaknesses I saw in Ice Age: Continental Drift – the slow romance scenes with the young mammoths. Therefore kudos must be given for the pacing of this film, which makes it even more suitable for the youngsters in the audience. In a year that’s seen so many “mature” animated films, it’s great to see something that is aimed at the kids, as opposed to aiming at the adults. Sure, there are laughs to be had for us more mature folks, but it’s not expressly for us. And that’s what makes it a great watch. And who doesn’t like some wild speculation on that fact? I don’t think they’ll go the totally bonkers route that Ice Age has pursued… but who knows. I’m sure the writing team have read the reviews praising their off-the-wall humour, so maybe we will? Aliens? Dinosaurs? Space? Who knows where we’ll be heading next! This entry was posted in Review and tagged afro, animated, Ben Stiller, children, Chris Rock, circus, David Schwimmer, Dreamworks, Europe, Jada Pinkett Smith, lion, Madagascar, New York, polka dot, Sacha Baron Cohen, zebra. Bookmark the permalink.